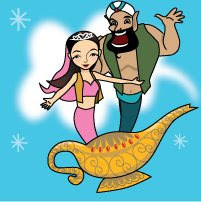 Pinay WAHM: Magic Lamp Luck by the Genies...a tag! Magic Lamp Luck by the Genies...a tag! Got tagged by tque 95 of ISL Family.com. 1-Mariuca 2-First Time Dad 3-Mariuca’s Perfume Gallery 4-Emila’s Illustrated Blog 5-The Other Side of Emila 6-My Sweet Escape 7-Bay Head Blog 8-Roxiticus Desperate Housewives 9-LadyJava’s Lounge 10-Petty Ramblings of a Petty Queen 11-The Real Deal 12-Pinay Mommy Online 13-Perpustakaan 14-LadyJava Life’s Pages 15-Make Money Online 16-Cat Tales 17-LadyJava’s Food Paradise 18-Being Woman 19-Spicybug 20-Biz-N-Honey 21-Aeirin’s Collections 22-Sasha Says 23-Project Heavy Traffic 24-Picture Clusters 25-My Wanderings 26-Maiylah’s Snippets 27-Moments of Colours 28-Life Quest 29-BigMoneyList 30-The Best Parts 31-Morphed 32-Buhay Pinoy 33-Galatayo 34-Blogging Tips 35-Apples Of The Eyes 36-My Own Utopia 37-Sasha’s Corner 38-Under One Roof 39.MommyAllehs Up-Close And Personal 40. ISL Family 41. Pinay WAHM 42. you're next! Tagging all of you that want luck from the Magic Lamp!